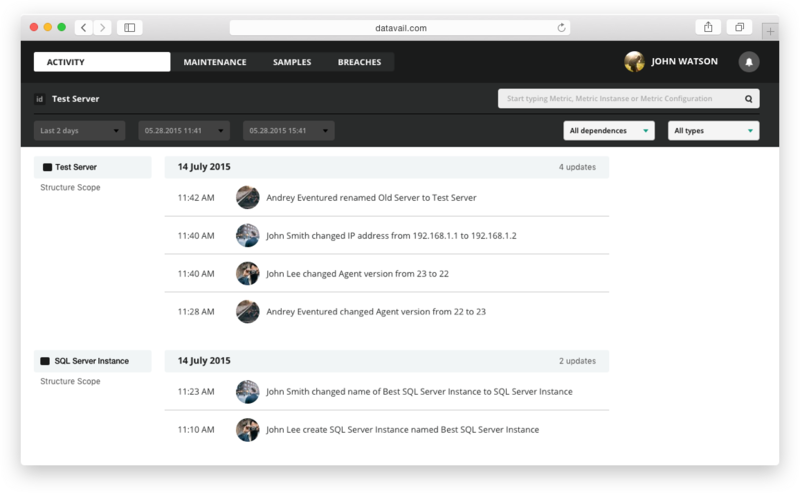 Datavail is a service to manage servers around the world. We track the activity of each machine with the help of agent-app to get information, apply rules and prevent critical situations. 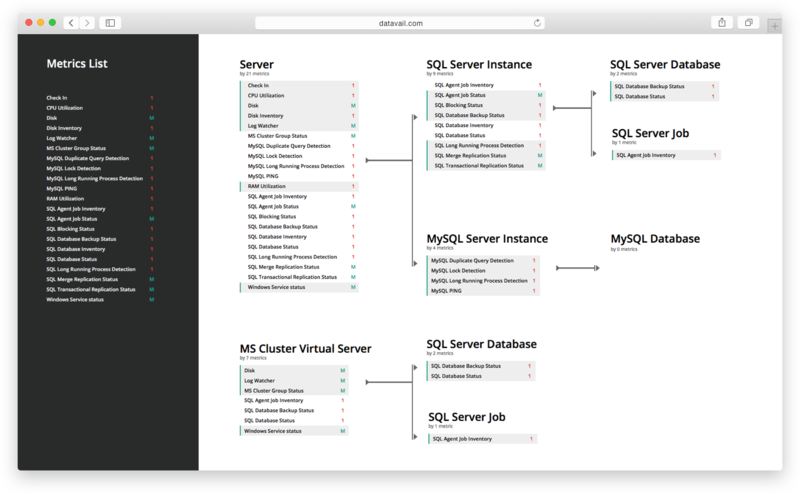 • Server Databases (SQL Server Database, MySQL Server Database). We have the list of 21 metrics. Metric is a parameter we can get from server machine via the help of agent-app. Some metrics track multiple values, others - just a single value. Metrics are adopted, but on each level we can track unique scope of metrics. 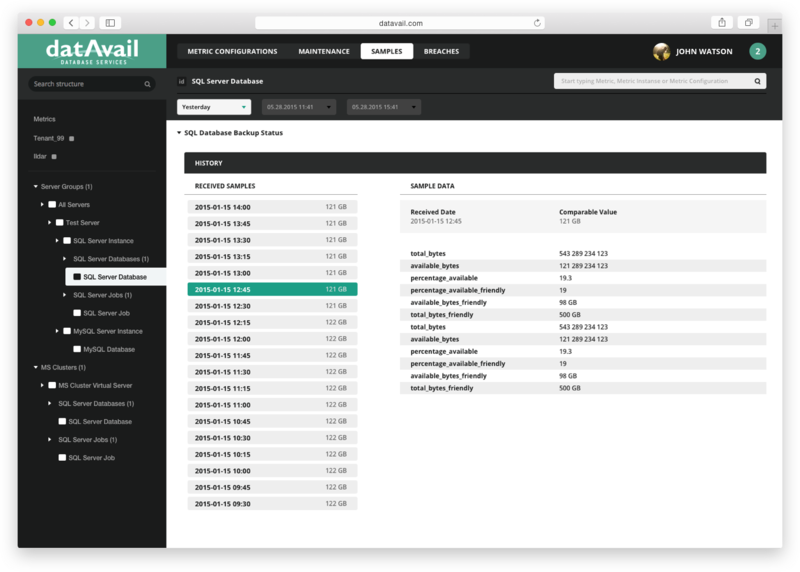 We created a system of inheritance to help our client manage the great amount of data. 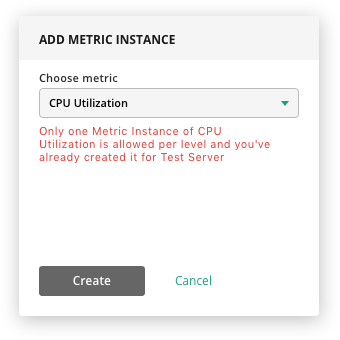 We can create a rule for exact metric on Metrics level and then apply it to a certain Customer or Server by creating a Metric Instance. 1. 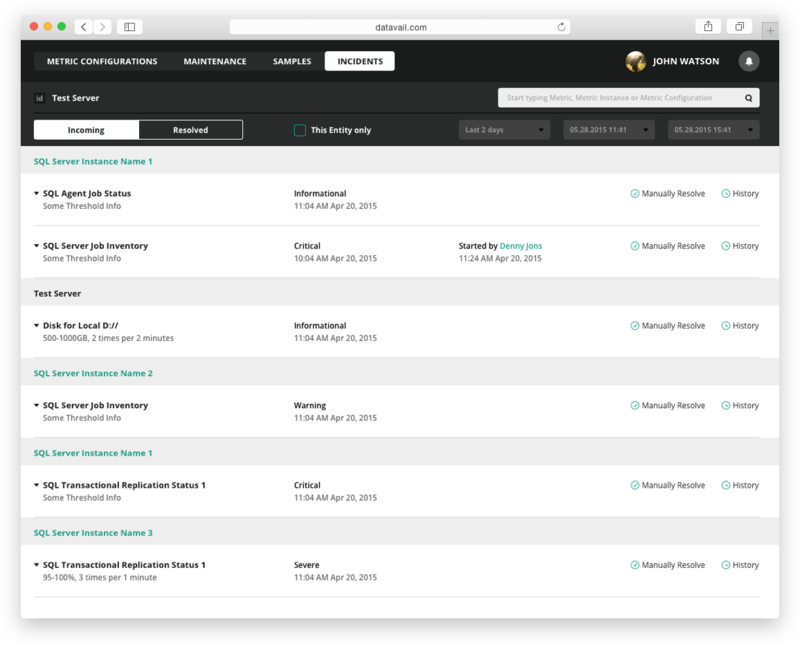 Metrics Instances tab helps us to understand which rules we apply on the selected level. 2. 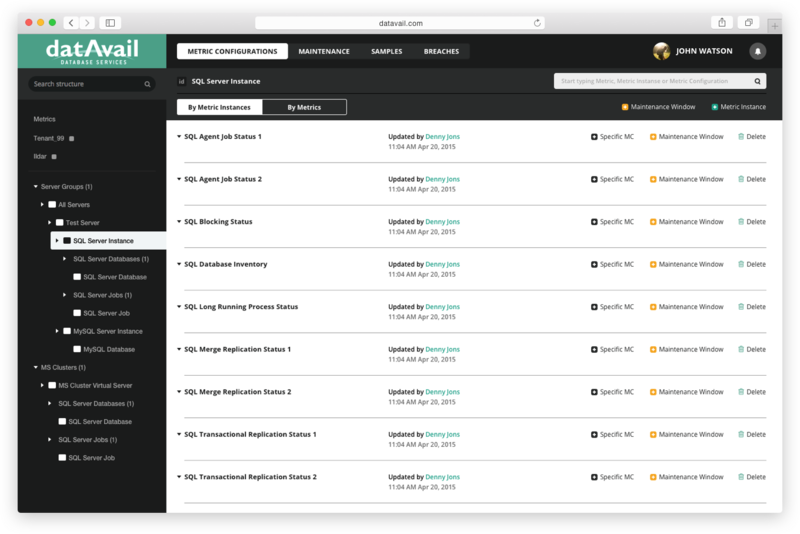 Metrics tab helps us to observe all the rules we got from upper levels to be applied later. On each level you can collect the list of rules for exact metric instance and apply the specific one. Metric Instances work only if we specify the rule with schedules, thresholds and actions for a specific metric - we called this Metric Configuration. At least one condition for each of the columns is required - to make Metric Configuration valuable. 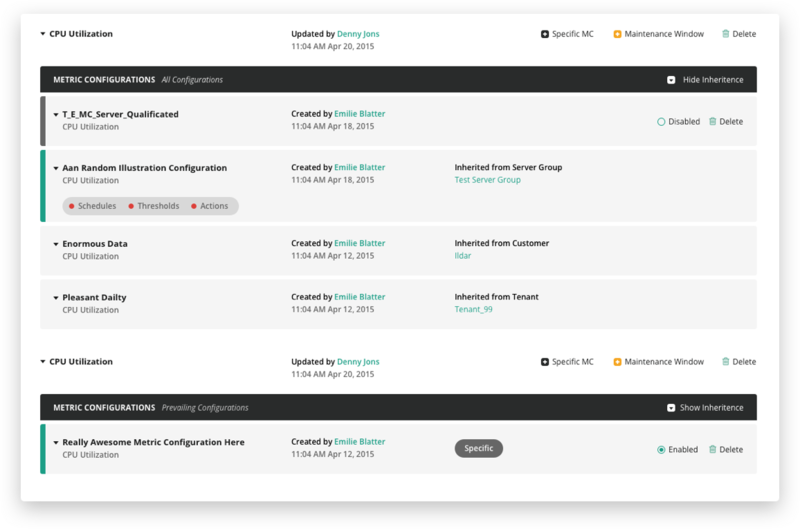 Configured state can have several levels of severities so we can choose from an email reminder up to opened ticket in the task-tracking system to help Datavail admins handle the critical situations. 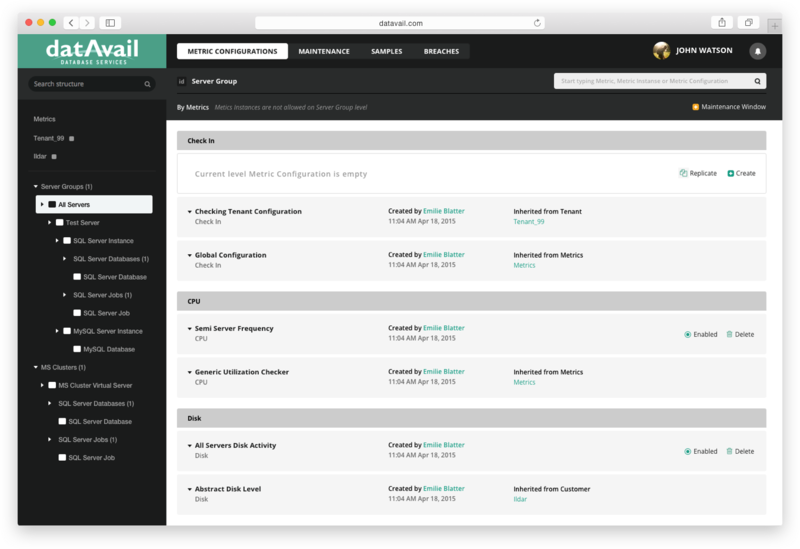 We create a special kit to show Metric Instances with states. 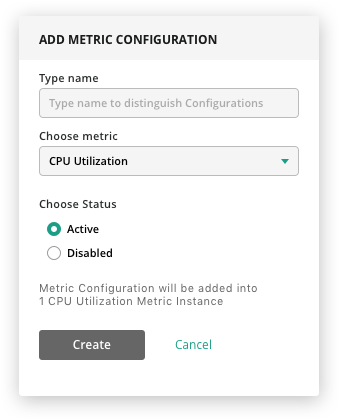 Create a new Metric Configuration and understand how many Metric Instances are affected. We can get the list of Metric Configuration those are inherited from upper levels for each Metric Instance. And add a specific Metric Configuration that works on a current level, but won’t be inherited for any children. If only one Metric Instance is allowed on a current level, we show this with the tips. 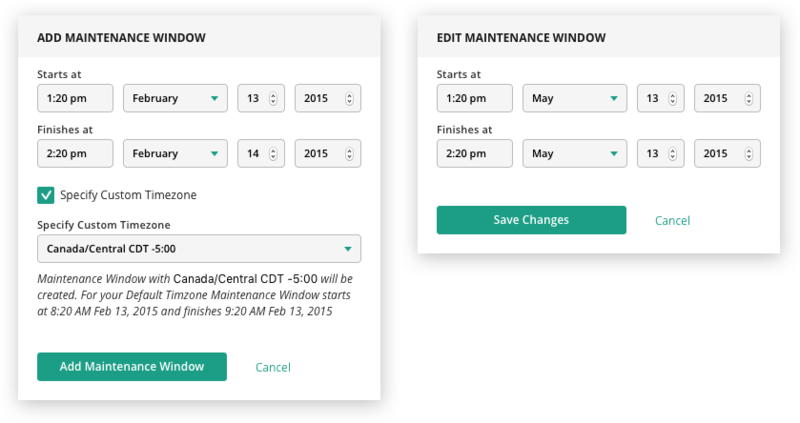 Maintenance windows are time periods when Metrics Configurations are not being checked. 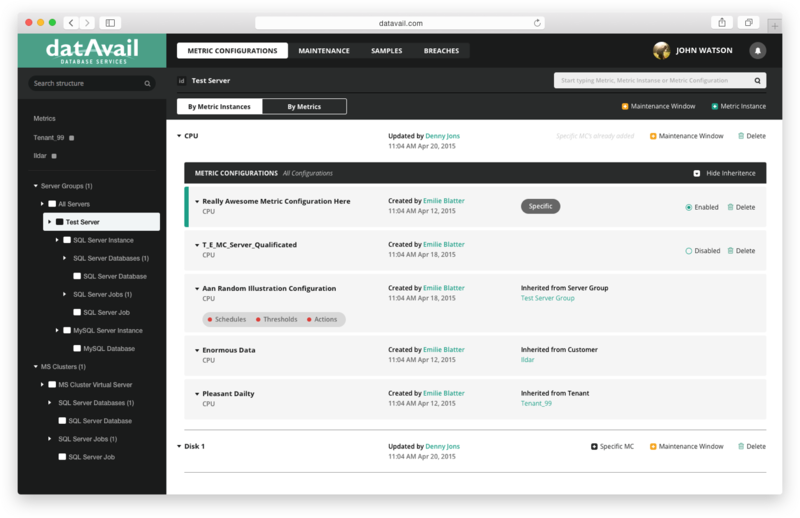 We can create maintenance in our local timezone or specify a custom timezone. By default we show 24 hours preview for Maintenance Windows. We also show overlaps then Maintenance Windows are applied from upper levels. We can apply Maintenance Windows on Metric Instances if we want to ignore local actions. 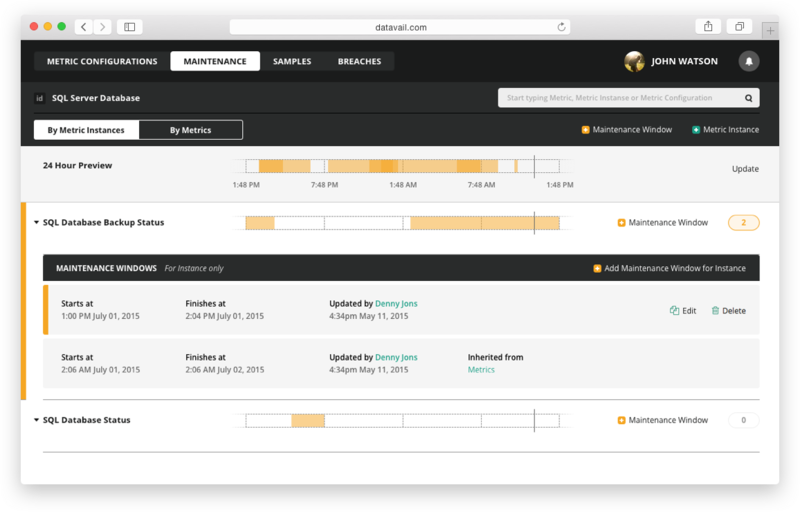 We can preview all Maintenance Windows as a timeline and get more details about overlapping and inheritance. 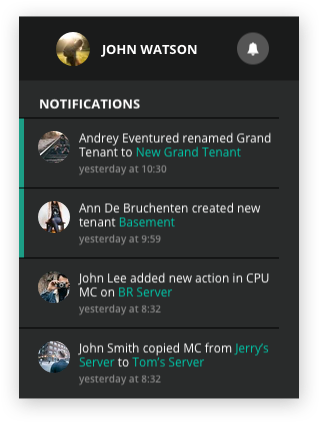 We get Samples from the agent-app. It’s a piece of information for a metric on exact time. If one Sample is bigger than a value in Metric Configuration rule, it’s a Breach. If current server has several Breaches to break Metric Configuration rule, Incident is thrown. 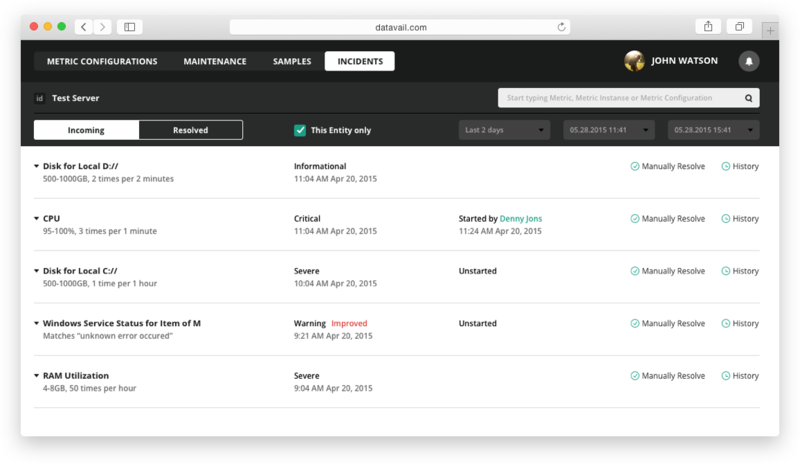 We show the list of Incidents to Datavail admins to help them to fix critical situations as fast as possible. We can get Incidents for a current level only. And even get the incidents for all children. Datavail admins can understand, which rules are breached. We allow admins around the world to work in cooperation. So we provide a flexible notifications system when we show updates with a small indicator. 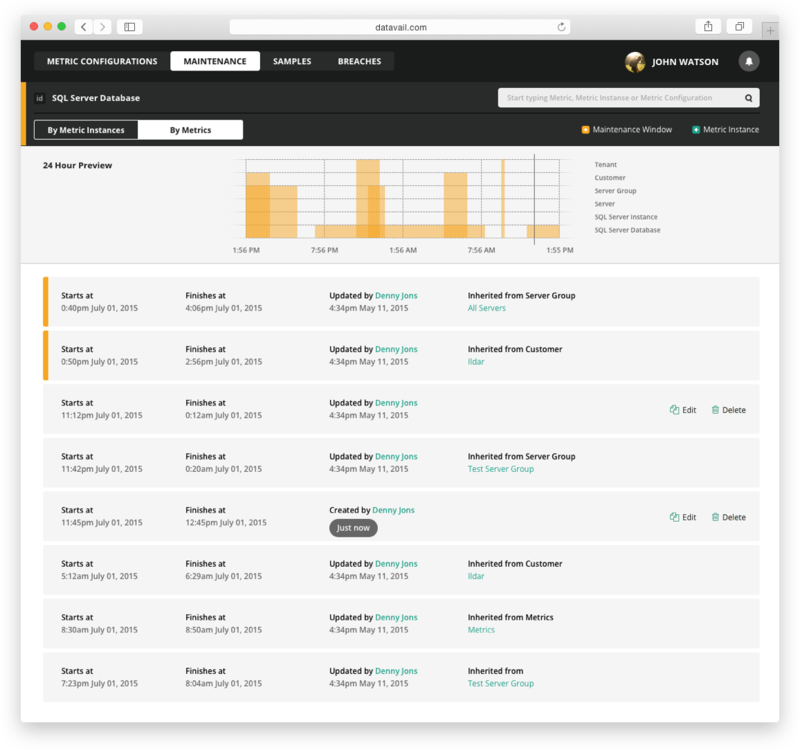 And we provide more detailed and formal way to track activity of all team members.